On International Women's Day, with the help of volunteers in 26 countries as well as UN Women's Global Goodwill Ambassador and actress Emma Watson, The Book Fairies was launched. The project and IWD-themed global book drop got a LOT of media coverage so you may already be familiar with this brilliant organisation. If not, let me tell you my story of becoming a London Book Fairy, five reasons why I love being a part of it, and how you can get involved with this amazing project too! 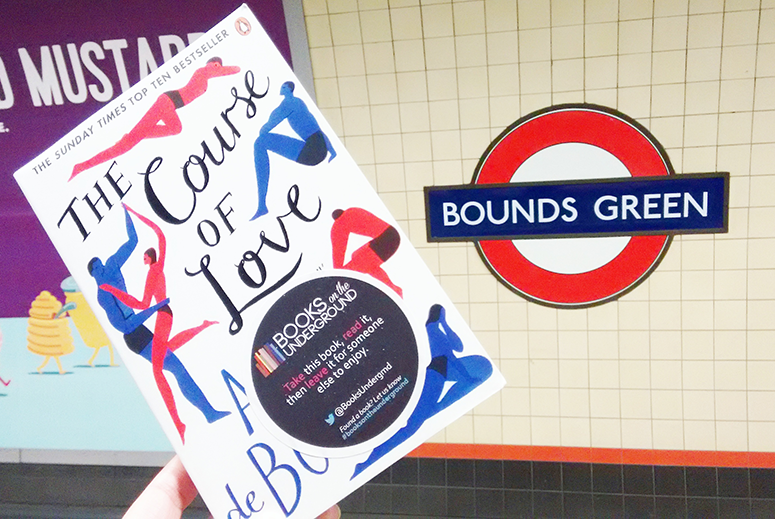 Back in 2015 I was somewhat aware of Books on the Underground (BOTU for short) and followed the social media accounts, but it wasn't until July of that year that I really became properly acquainted with it. I saw a message on Twitter asking for volunteers to help drop books on the London underground (Metro / Subway for those of you overseas), which sounded intriguing and myself and two other girls expressed our interest. That's when I met Cordelia, Director of BOTU, for the first time as well as the other girls, Carleanne and Niriksha, and it was the start of something very fun. 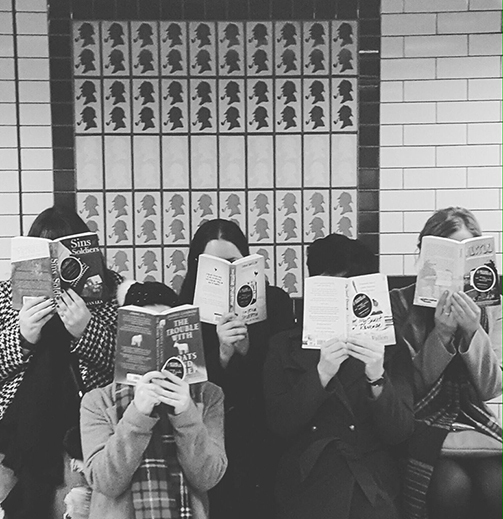 From that moment onwards we would receive boxes of books (usually around 20/30 copies of the same title), which we would sticker up and leave around the tube network on a set date, taking photos and sharing clues on social media. Sometimes there was even something extra special included with the books, such as a message from the author, a Golden Ticket awarding the beholder a hamper of goodies, or a voucher for free chocolates. The project grew and grew in popularity until stacks of books were swamping all our offices and more people were recruited, though BOTU really exploded in popularity after Emma Watson got involved towards the end of last year, helping out with a special book drop in two cities simultaneously (London and New York City), which gathered a lot of media attention and brought a ton of new followers to the social channels. Nowadays every single work day has a different book on the calendar to be dropped (split across 10 volunteers in London), sometimes even on weekends or twice on the same day with one of the titles reserved as an evening drop. All the hard work is done by our Head Book Fairy Cordelia who organises the book drops with publishers and authors, comes up with innovative campaigns such as #indieauthorsunderground, sends out stickers to people who like to get involved, runs social media and the website, and so much more. I have just a tiny part in the whole project, but man it's such a blast. And last week the excitement exploded worldwide! After Emma Watson's involvement last year and the media attention it received, there was understandably a lot of interest from people around the world to get involved. There were some local branches already, such as Books on the Subway in New York City, but there wasn't anything that brought the interest from dozens of countries together on a global level and that's when The Book Fairies was born (#ibelieveinbookfairies is the official hashtag on social channels to find Book Fairies dropping books and people finding them, with a literary nod courtesy of J.M. Barrie's Peter Pan). 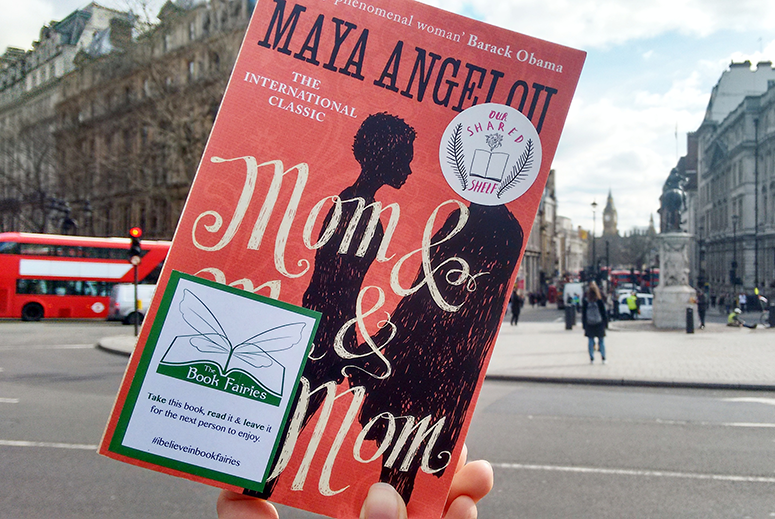 This time around everyone can get involved and drop their own books in their own countries, with special new stickers from The Book Fairies, how cool is that?! To launch the campaign, The Book Fairies teamed up with Emma Watson to drop 8 different feminist books from her Our Shared Shelf book club on International Women's Day with the hashtag #IWDoursharedshelf. 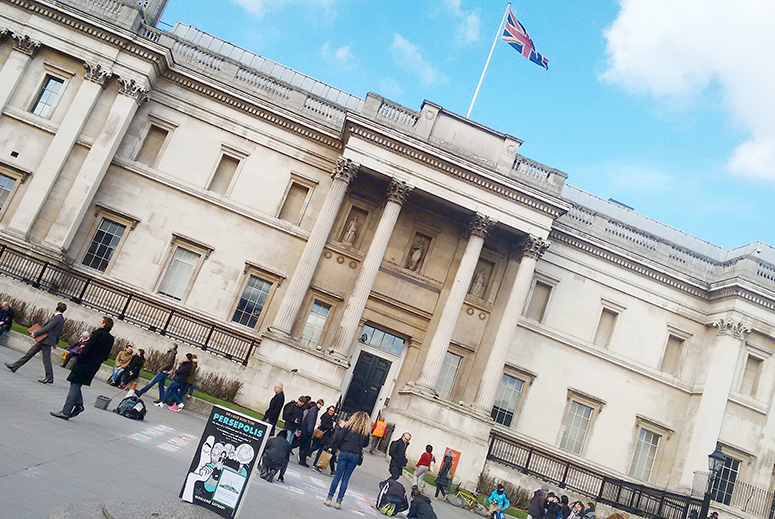 Book Fairies in 26 countries got involved on the day to drop the books, it was insane! The craziest thing for me personally was when one of my Tweets was included in a Twitter moment and got 75+ retweets and 400+ likes 😱 Persepolis in Lego Shakespeare's lap was particularly popular and lots of people quoted the Tweet to comment on it, which was awesome. The notifications on my phone have now died down, but this was only the first chapter in a brand-new exciting adventure, as all the media coverage has made more and more people aware of BOTU and The Book Fairies, and lots of new people would like to become a part of it – which is wonderful. It's been a crazy awesome journey so far and I'm excited to see the project continue to grow and leave a bookish footprint all across the globe. Below you can find just a few reasons why being a Book Fairy is brilliant – and information on how you can get involved yourself. 1. Sharing the love for books and reading in an incredibly original manner, along the way perhaps even encouraging reluctant readers to discover this unrivalled joy for themselves (yay, books!). 2. In a non-sneaky way keeping an eye of 'your' books and seeing the smile on someone's face when they find one to unexpectedly brighten their day (facial expressions often go from confusion to surprise to delight). 3. It's a GREAT work-out, I mean you try carrying around anywhere from 10-30 books at a time, several times a week (although you start sighing a little bit when opening a new box of books and seeing they're massive hardbacks 😶). 4. 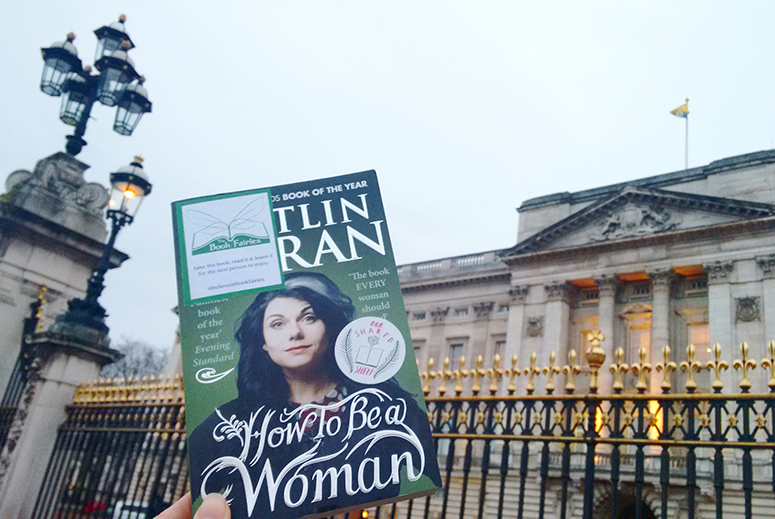 Finding original places to 'hide' books, as not only is it fun to spot the perfect locations but you also see things in places you walk past every single day that you had never noticed before. Has my story made you keen to try some bookfairying for yourself? It's very easy to get involved! 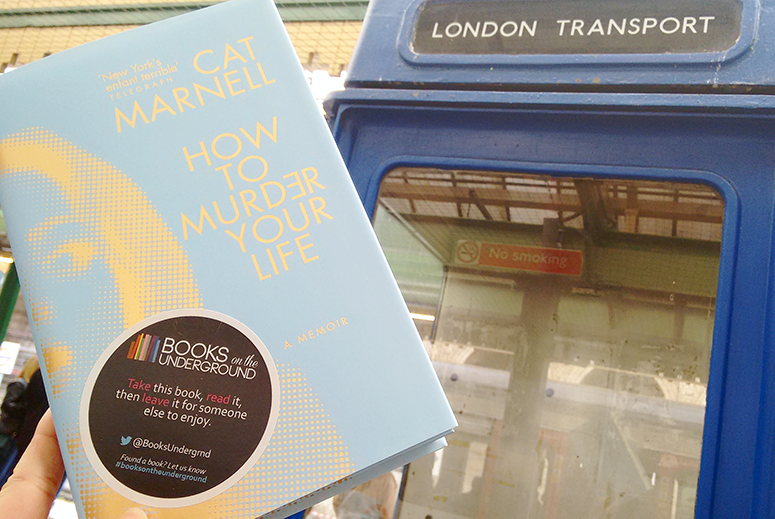 If you're in London and you'd like to leave books on the tube you can request stickers on booksontheunderground.co.uk. 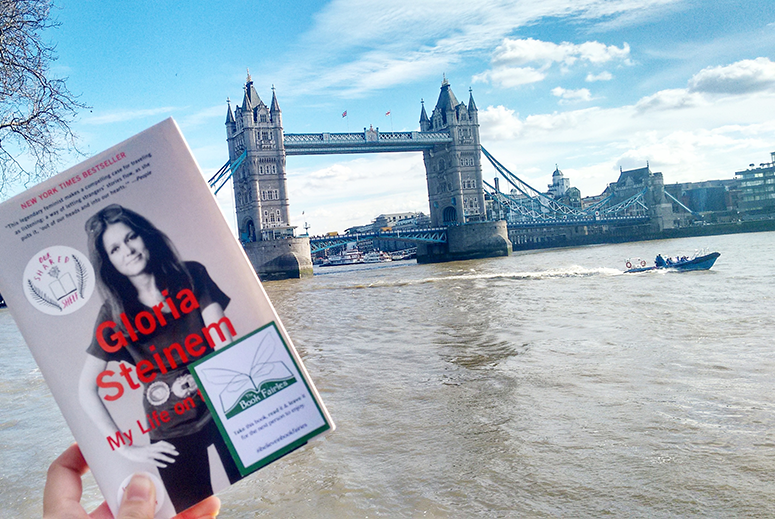 If you're anywhere else (or you're in London and prefer to leave books outside rather than underground) then request stickers from ibelieveinbookfairies.com. Happy book dropping and do let me know in the comments below where you plan to hide some reading gems!